J.D., 1992, Capital University Law School. Ohio, 1992. U.S. District Court, Southern District of Ohio, 1993. U.S. Court of Appeals, 6th Circuit, 1996. Untied States Supreme Court, 1997. Mr. Haynes is an Ohio State Bar Association Board Certified Family Law Specialist (Divorce, Dissolution, Custody, Child Support, Visitation, Parental Rights and Responsibilities of unmarried parents, Legal Separation, Grandparents Rights, Spousal Support, QDROs, and Prenuptial Agreements). 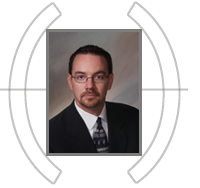 Mr. Haynes also has extensive training and experience in collaborative divorce. The collaborative law model uses a cooperative approach to help couples and their families resolve the issues that arise in the termination of a marriage. Through this model, the parties are able to control the decision making, timing and costs of the process with the goal being to provide parties and their attorneys a structured, non-adversarial process to deal with the issues relating to the termination of their marriage. For more information on collaborative law go to www.winwindivorce.org. Mr. Haynes is also a trained domestic mediator and has assisted couples in mediating all aspects of their martial disputes. Ohio State Bar Association Board Certified Family Law Specialist. AV® Preeminent™ Peer Review Rated by Martindale-Hubbell for Family Law. Ohio Super Lawyers for Family Law. Mr. Haynes is a frequent lecturer to Judges, Magistrates and fellow lawyers on family law topics including spousal support, child support, alternative dispute resolution and collaborative Law. Columbus Bar Association (Family Law Committee Member and Chairperson, Court of Appeals Sub-Committee 2006 to present). Ohio State Bar Association (Family Law Section Member). Ohio Academy of Collaborative Divorce Professionals (Board Member 2008 to present and current President). International Academy of Collaborative Professionals. Association of Family and Conciliation Courts.